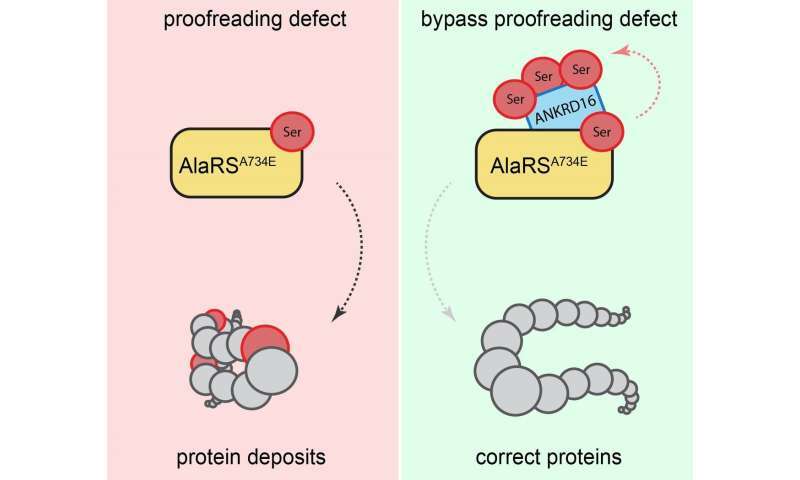 Usually, the information transfer from gene to protein is carefully controlled—biologically "proofread" and corrected—to avoid the production of improper proteins. 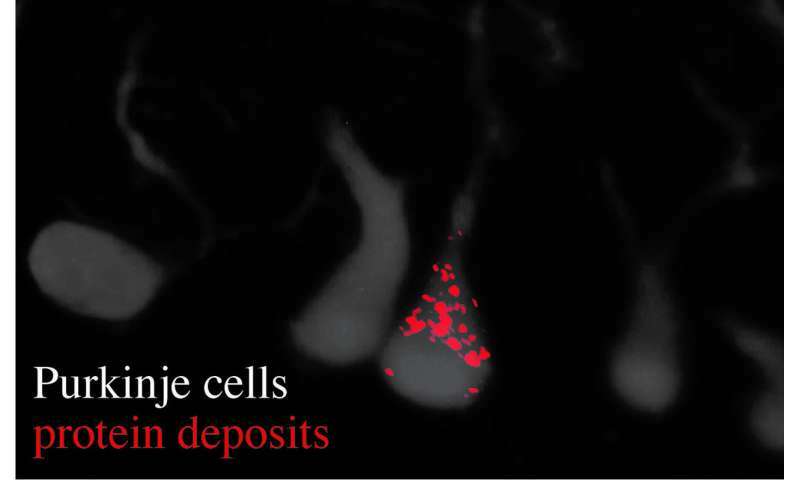 As part of their recent investigations, published May 16 in the journal Nature, Ackerman, Paul Schimmel (Scripps Research Institute) My-Nuong Vo (Scripps Research Institute) and Markus Terrey (UC San Diego) identified that Ankrd16 rescued specific neurons—called Purkinje cells —that die when proofreading fails. Without normal levels of Ankrd16, these nerve cells, located in the cerebellum, incorrectly activate the amino acid serine, which is then improperly incorporated into proteins and causes protein aggregation.